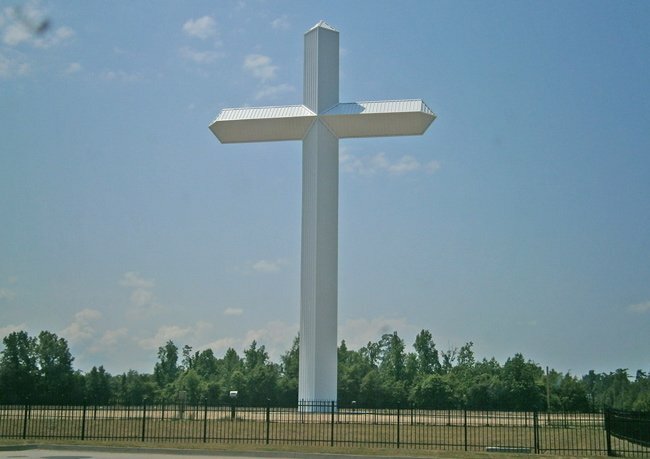 This steel-core cross stands on an acre of land in Lake City and reaches 110 feet into the sky. With arms stretching 64 feet wide, the towering symbol weighs 100,000 pounds. 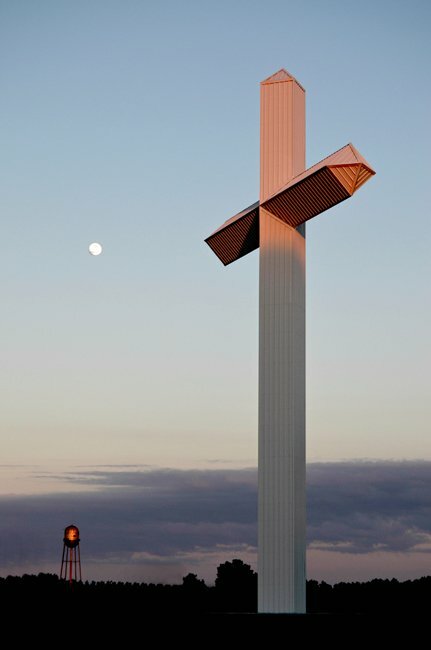 Built by Lee Construction, the cross is made to withstand strong winds and is visible for two miles in any direction. It was erected on United States Highway 52 in March of 2016. The cross, which is the first of its kind in South Carolina, is the project of a non-profit ecumenical group organized by Lake City First Baptist Church called At the Foot of the Cross. Inspired by similar landmarks in Tennessee, North Carolina, Ohio, Indiana, and Virginia, the group raised $150,000 towards the cross and obtained a 100-year lease on one acre of land for the project. The group also plans to install lights on the cross as well as add benches to the surrounding grounds.